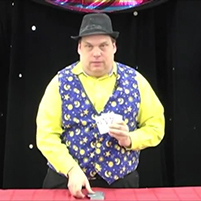 Here is a quick-to-learn card trick with an engaging story. Enjoy performing this one! Want to learn to perform this? Want to further develop your presentation and story-telling skills? Check out our summer camps St. Louis – particularly magic mystery camp, comedy camp, and magic camp!